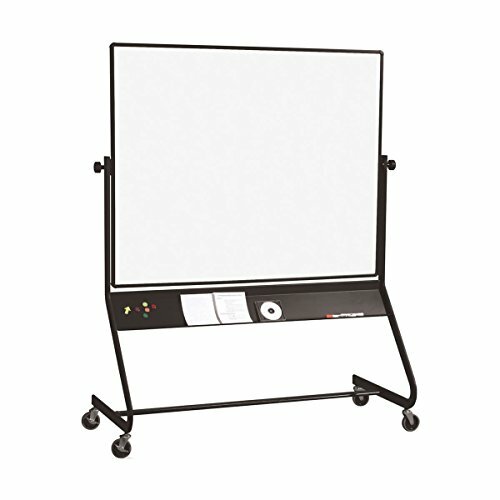 Get up to twice the functional space of a wall-mounted board with a versatile and mobile Euro Reversible Board. 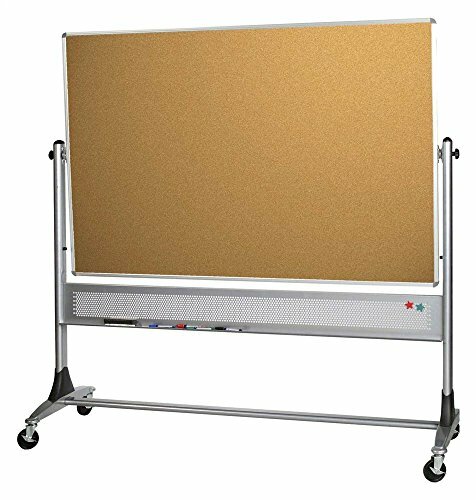 Mobile boards are double-sided and available in a variety of surface combinations, including porcelain steel magnetic dry erase whiteboard, porcelain steel projection board, Dura-Rite HPL dry erase whiteboard, and tackable natural cork. Panel is trimmed with modern black anodized aluminum, rotates 360 Degree on a pivot hinge, and locks into place with the turn of a knob. Trim includes a full-length accessory tray for style and stability. Wide base design for stability includes attractive nesting legs, and 4" locking casters. Markerboard / Natural Cork. Provides twice the functional surface of a wall-mounted board. Mobile boards are double-sided. Surface rotates 360 degree on a pivot hinge and locks into place with the turn of a knob. Modern Black Anodized Aluminum trim. Wide base design for stability includes 3 in. locking casters. Made in the USA. 30 in. W x 40 in. H (68 lbs.). 72 in. W x 48 in. H (155 lbs.). 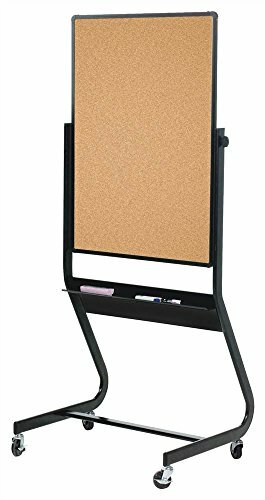 Platinum Reversible Boards - Markerboard/Natural Cork (72 in. Projection Plus/Natural cork. 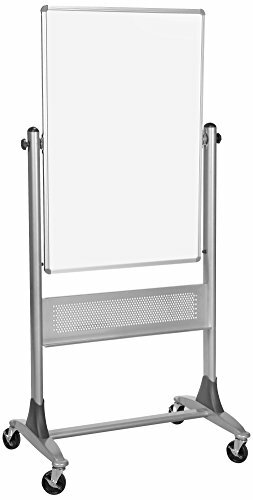 Provides twice the functional surface of a wall-mounted board. Mobile boards are double-sided. Surface rotates 360 degree on a pivot hinge and locks into place with the turn of a knob. Modern Black Anodized Aluminum trim. Wide base design for stability includes 3 in. locking casters. Made in the USA. 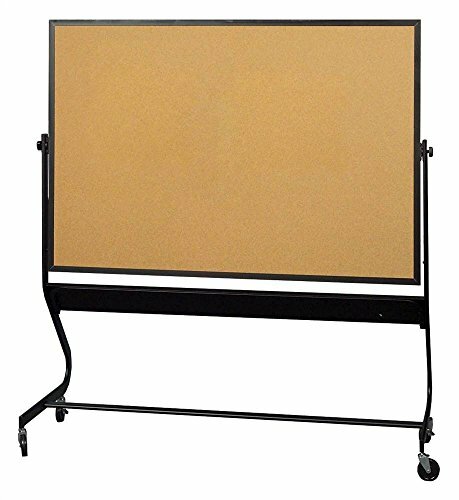 667RG-FD Material: Projection Plus Markerboard / Porcelain Features: -Pivot hinge allows board to revolve easily and lock into position.-Full length tray with rounded corners for safety.-4" casters.-Sizes are actual dimensions of surface before framing. 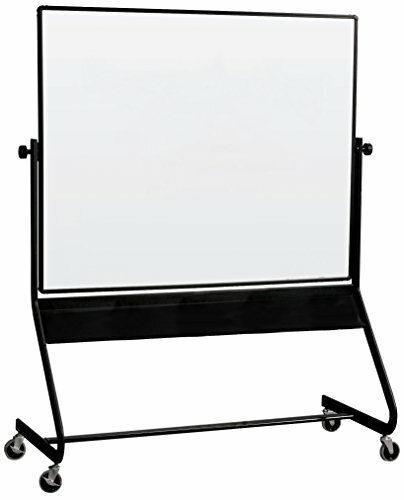 Color/Finish: -Contemporary steel frame with durable black powder coat finish. 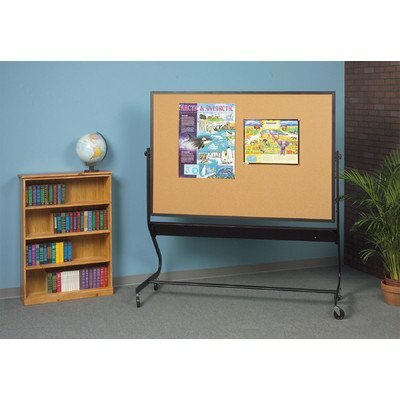 Dimensions: -48" H x 72" W.
Compare prices on Cork Euro Reversible Board at LiveSaler.com – use promo codes and coupons for best offers and deals. We work hard to get you amazing deals and collect all avail hot offers online and represent it in one place for the customers. Now our visitors can leverage benefits of big brands and heavy discounts available for that day and for famous brands. We try to makes comparison shopping easy with Product Reviews, Merchant Ratings, Deal Alerts & Coupons. Find Deals, Compare Prices, Read Reviews & Save Money.